2018 Calendar Printable for Kids: Free to Use! Fun 2018 Calendar Printable for Kids with Student Planner! Are your kids getting ready for school? Help them get organized with this fun 2018 calendar printable for kids which also includes a free student planner! 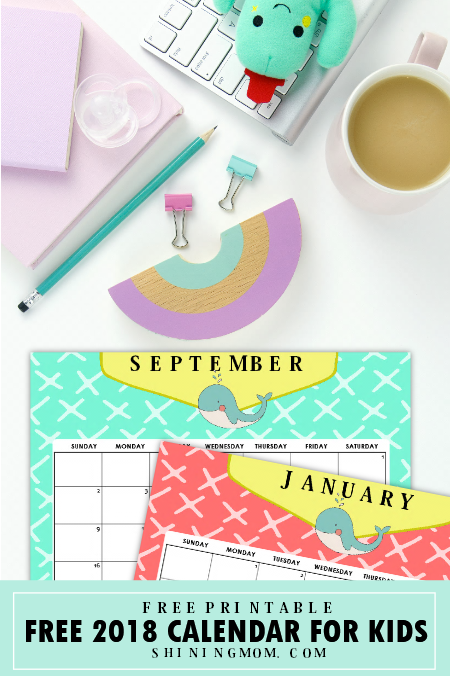 This printable planner comes in playful print that kids will love. Teach the young ones how to systemize their schedule in school. Start by helping them print this fun planer especially designed for them today! Hello, friends! Welcome back to Shining Mom! 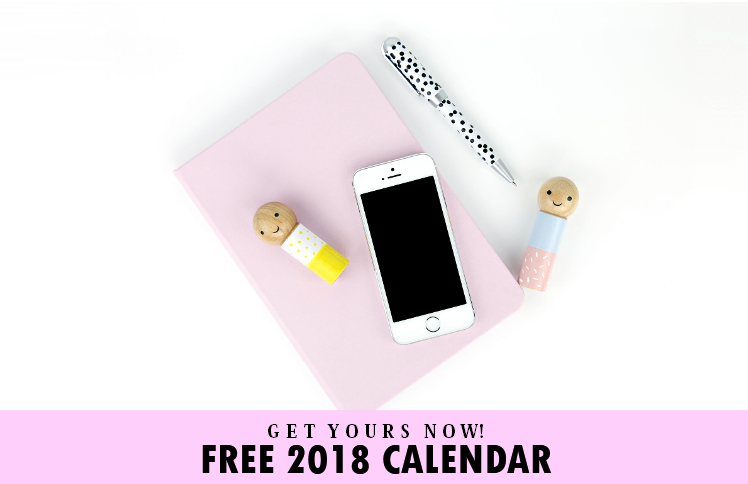 While I have already shared several designs of free 2018 calendars here on the blog, I thought of publishing another one today– this time, for your little ones! I know staying organized in school can be a struggle and so here’s a 2018 calendar printable for kids that comes in playful print to help them organize their schedules and activities. Train your kids to become more successful in school and in life by teaching. Start by teaching them how to get organized and focused while having fun as early as now! I am so, so excited to show you this freebie. Let’s get started with a quick preview to some of the monthly printable pages! The 2018 calendar printable for kids that I have here comes in different colors for each month of the year. I know kids love fun designs in bright colors and so I made sure come up with playful prints. A shoutout to Design Cuts for some of the graphic elements I used here! Each monthly 2018 calendar printable for kids that I am sharing away is something that kids can easily bring to and from school. It’s designed to be printed in standard US size paper that can inserted in school binders easily! As I have said, this freebie also comes with a free student planner! 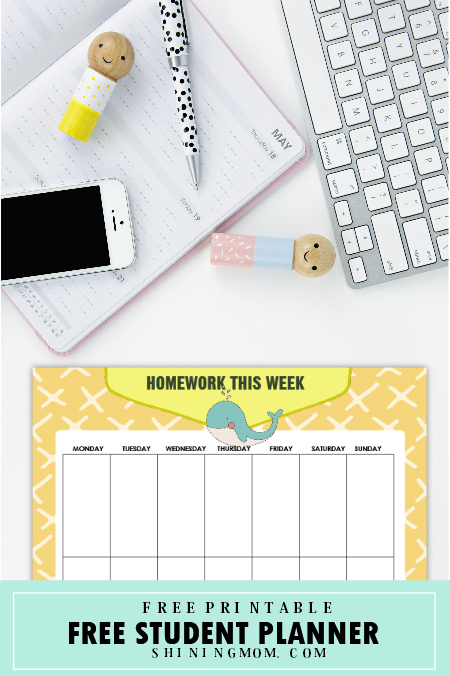 Kids will love that they can now easily organize their homework and weekly schedules with these free planners that match the 2018 calendar printable! With this free printable student planner, planning can be fun, right! Grade school and middle school kids are going to love this planner, that’s for sure! Help the little ones have their own copy now by helping them download this free calendar and planner. Since it’s a newsletter-exclusive freebie, quickly sign up HERE to receive the files right away. Will you be using any of the Shining Mom planners this year? I’d love to hear from you at the Comments! Please enjoy the free planners that I have for you and don’t forget to pin us on Pinterest! Have an amazing 2018, friends! I am so thrilled to welcome the year! Cheers to a blessed and prosperous 2018! « Free January Planner to Start an Amazing Year!